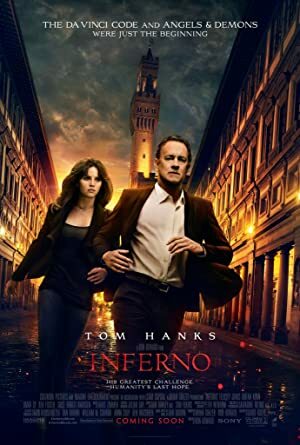 Inferno (2016) – What's New on Netflix Canada Today! On the run and suffering from memory loss, a Harvard symbologist must decipher clues to stop a plague designed to decimate the planet’s population. Famous symbologist on a trail of clues tied to the great Dante himself. When Langdon wakes up in an Italian hospital with amnesia, he teams up with Sienna Brooks, a doctor he hopes will help him recover his memories. Together, they race across Europe and against the clock to stop a madman from unleashing a global virus that would wipe out half of the world’s population.